A unique structure which roofs the main bus station in the Swiss town of Aarau was built at the end of 2013. 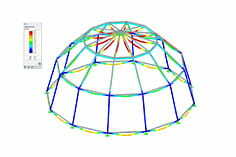 The canopy has a cloud-like shape and contains the largest single-chamber cushion in the world. 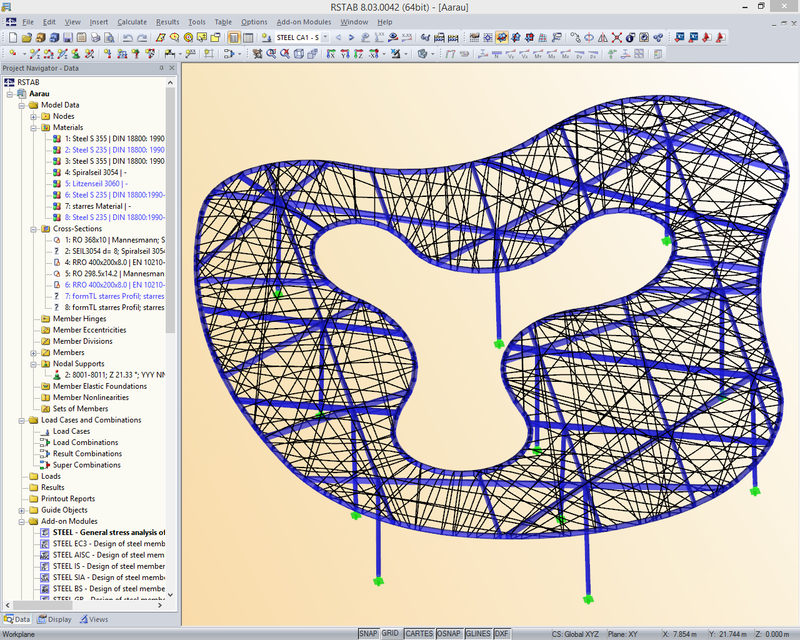 The ETFE cushion has a volume of 1810 m³ and covers an area of 1070 m². The external dimensions of the roof are l x w = ~ 42 m x ~ 39 m. The eave height is 7 m. In the center of the canopy there is an organically shaped opening. The air cushion is inflated and reaches a height between 1.3 m and 3.2 m. Furthermore, a clear and blue‑dyed foil with a finely balanced print was used. The cushion is enveloped and spanned by an irregular mesh of stainless steel cables that are fixed to the curved pipes on the edge. 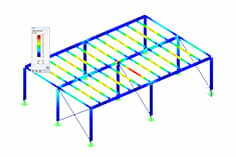 The edge beams are supported by a load bearing system consisting of steel girders lying within the cushion. The entire technical infrastructure for water, air, electronics and sensor technology has been integrated into the inner steel structure. The roof is supported by a total of 11 filigree columns made of round pipes with a diameter of d = 298.5 mm that are slightly inclined in an axis. The "cloud" seems to float. 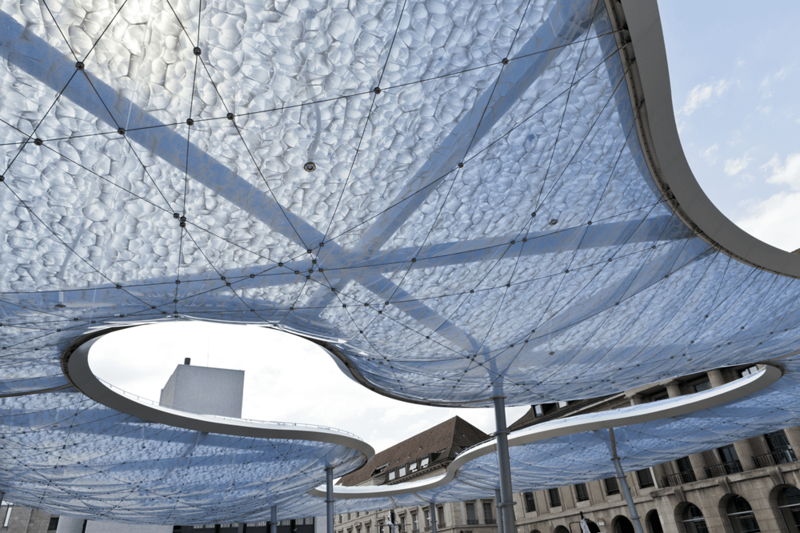 The ETFE cushion has such an airtight and energy‑saving design that merely 15 % of the forecast air power needed to sustain the structure is required. Immediately after the bus station was put into service, it became an exhibit in the Swiss architectural trade show "architektur 0.13" in Zürich.